The Staten Island Moravian Churches Community Garden grows organic produce for Project Hospitality’s soup kitchen and food pantry. From the time we started keeping records, we’ve been contributing between 800 and 900 pounds of produce each season to Project Hospitality’s soup kitchen and food pantry. During our 2018 gardening season, we yielded almost 1000 pounds of fresh produce for donation to Project Hospitality . We have thirty-nine four by four foot squares. About a third of these squares are set aside for volunteer gardeners and about two-thirds are set aside for Project Hospitality. 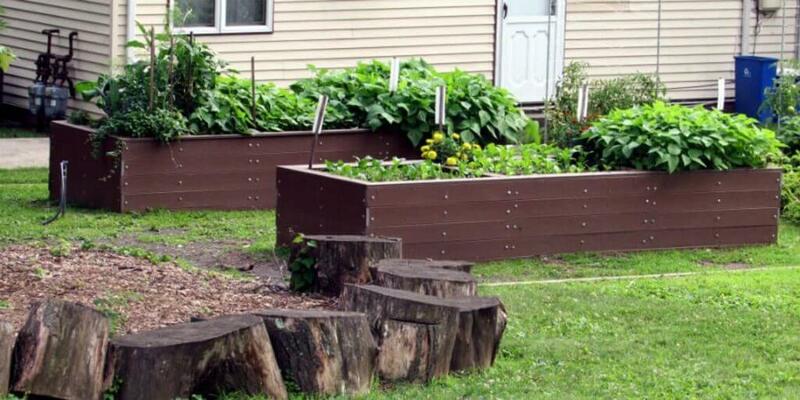 The garden provides space for people who might not be able to garden at home. In exchange for helping to care for garden plots designated for Project Hospitality, volunteer gardeners can have a personal plot to grow their own vegetables and herbs to take home. The entrance and front section of the garden are handicap accessible. Six of the plots are in waist high wheel-chair accessible beds. High density planting means fewer weeds. Verticals are provided in 27 squares in our garden. Verticals are used for tomatoes, cucumbers, and other running plants. 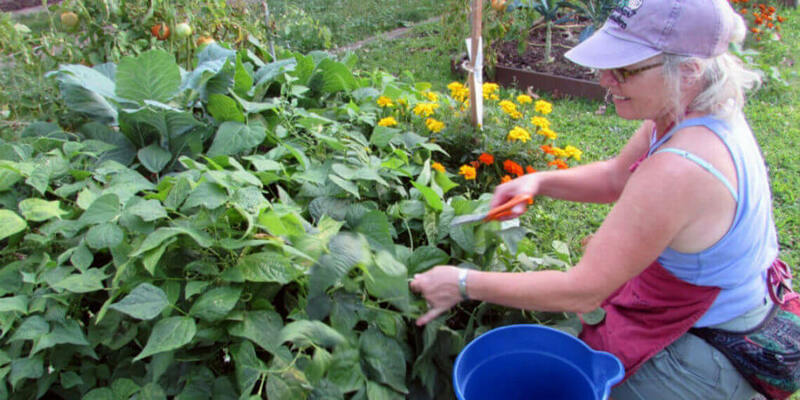 Volunteer gardeners only need simple tools: gardening gloves and trowels. Don’t step on the soil inside the garden squares! Come and join us! It’s great to enjoy being outside, working together, and seeing the goodness of God’s creation all around us. Please call the church office for more specific directions to the garden.